Last night I realized it's been for-eh-vuuuur (Sandlot, anyone?) since I've done a Live Q&A. Since I am now officially Periscope obsessed, I thought I'd do a spontaneous Live Q&A and see what happens! I answered questions and chit chatted and it was…well…it was awesome. I loved it. If you don't follow me on Periscope, be sure to download the free app and find me (@FunCheapOrFree) so you don't miss out on any action! For those who missed the session, I uploaded the video to YouTube so you could watch it in your own time. So plug in those earphones, do your makeup, sort your laundry, or fill the dishwasher as you hear me answer questions including (but not limited to): What kind of diaper bag I use, how we get the kids out of the house, where I grew up, how I manage my kids at restaurants, makeup tips, how we came up with our kids' names, and more (including a cameo of #PoorChubbyOllie)! Where I bought my diaper bag (Zulily), the bag is Timi and Leslie and I LOVE IT. So, what did you think of the Periscope Q&A? Would you like to see more like these? Let me know! To see my other Q&A sessions see my Q&A Youtube Playlist, and be sure to sign up for my email list so you get all this goodness straight to your inbox and don't miss a thing! We should plan a Thanksgiving Point play date! Heck yes! We were just there today!! What day of the week and times work for you? I have 2 in school all day, but my preschooler, baby and I would love to meet up. Hey Amber! Here’s my take on your friend-making situation. I don’t think that it’s that people with kids DON’T want to be friends with you, rather, I think that as a mom you’re somewhat forced to make friendships based on circumstance. One of my best friends in the world got married years after I did. Being married and trying to hang out with a single friend was really hard. Then we had a kid…and another kid…and another kid…before she even got married and had her first. Now she has a child…but I have 4! It’s not that I don’t want to hang out with her, and we still find time to here and there, but it’s hard when I have 4 kids on very different schedules, ages, and interest levels than hers. Hang in there! One thing I didn’t mention on the scope is that in order to make friends, YOU have to put forth the effort. Throw couples nights at your house, that way whether they have kids or not won’t matter. Dinner party, game night, dessert party, whatever. It will level the playing field a bit. But you will have to be the one to put out all the effort, unfortunately, that’s just (sadly) how it works. For me too! Hang in there and good luck! 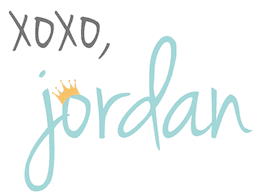 Hey Jordan! 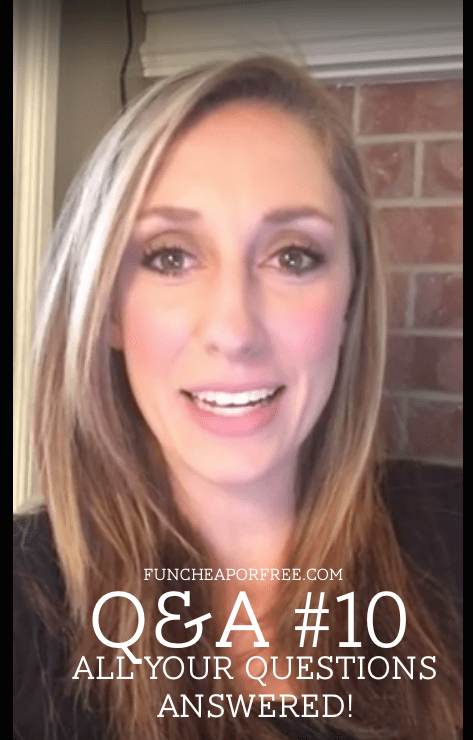 Love your Q&A’s and your site…I’ve been following you for a while now and I’ve had some success with your tips! Especially the 7 bank accounts…I had to modify it a bit to suit our family’s needs (we ended up with 5 instead of 7) and I’ve saved a lot in overdraft fees! Yay! I just wanted to comment on the Costco vs. Sams Club debate. We have both stores here in Reno and I have a membership to both. I find that Sams has slightly better (sometimes like pennies differences) prices on staples like milk, butter, bread, etc… but they don’t have a very big natural/organic section. Though, lately they have had more items like that to choose from. So they are catching up. I tend to impulse buy more at Costco because they carry stuff that Sams doesn’t so I just get it even if it’s not on my list. (Those Annie’s Bunny Fruit Snacks get me every time!) Plus, after a crazy crowded/chaotic/drifting huge cart/crying teething baby visit to Costco…I’m a little turned off by the place lately. (I could go on a bigger rant about that day…but I don’t think this is the right place for that) 😉 Anyway, I’d like to hear about other’s experiences in shopping at either store and how they save money buying in bulk. Thanks!! Love this take on Sams vs Costco! Yes I think the decision is personal and some Costco’s are better than others for sure. Thanks for sharing!